The Slowly Boiled Frog: Confused hate group leader spreading ignorance - So what else is new? Confused hate group leader spreading ignorance - So what else is new? The Left's double standard was on full display over Christmas when the boss of the Radio City Rockettes, James Dolan, lamented the fact that part of his troop may be dancing at Trump's swearing in. Of course, no one is forcing the Rockettes to perform -- and those who choose not to dance have been accommodated. Unfortunately, that luxury was never granted to Christians like Aaron and Melissa Klein, Barronelle Stutzman, Elaine Hugenon, Betty and Richard Odgaard, and scores more. 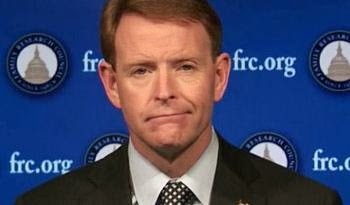 There are many things that Tony Perkins is unable to fathom. Among those, Perkins is incapable of understanding nondiscrimination laws. Is this due to an intellectual deficit or an unwillingness to critically resolve something that Perkins opposes? Perhaps a combination of both. Or perhaps Perkins is just being dishonest — misleading people to attract donations to his hate group. After all, he certainly understand how such laws work when they protect Christians. When it suits them, conservatives are all about “law and order.” That seems to selectively apply to people of color and there is no law requiring any of the Rockettes to perform for Donald Trump. Donald Trump is not a protected class. 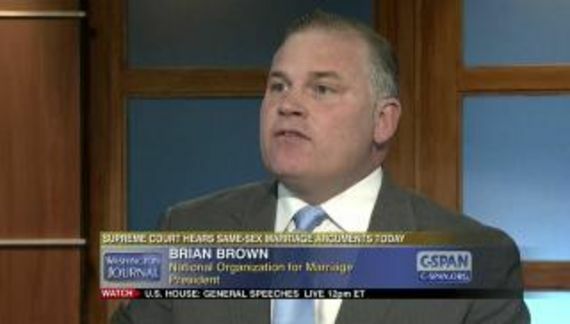 There are, however, valid laws requiring “Aaron and Melissa Klein, Barronelle Stutzman, Elaine Hugenon, Betty and Richard Odgaard” to serve gay people. Furthermore, there is binding Supreme Court precedent (Employment Division v. Smith) that there are no religious exemptions to otherwise valid laws. In 2014 a new case proposed to challenge Smith (Elane Photography v. Willock). The Court declined to hear the case. If there is a double standard at work here it is defined by the notion that Perkins should only have to obey the laws that he likes. Trump has an enormous ego. It might infuriate him that performers would dare not to perform for him. However he is not scarred like a gay couple unlawfully turned away from a public accommodation by someone who doesn't approve of them with the denial of service neatly cloaked in scripture. That kind of rejection can be life altering. That is why, for example, the good people of Washington State have enacted a law that is intended to prevent that kind of conduct. Mr. Perkins doesn't care for Jews much either. You do not hear him advocating anti-Semitism (most of the time) because he cannot get away with it. Unfortunately, it is still acceptable in some quarters to promote discrimination against LGBT Americans, at least for now.